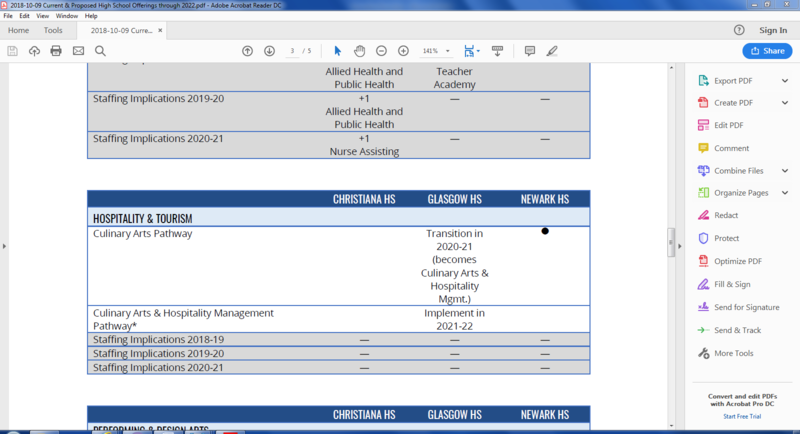 There are always gems to be found when you comb through district and charter board minutes, agendas, and websites. I did that last night and found a ton of stuff! Instead of coming out with a dozen or more articles about it, I thought I would just combine all of it one fell swoop! There is A LOT of material in here so dig in! 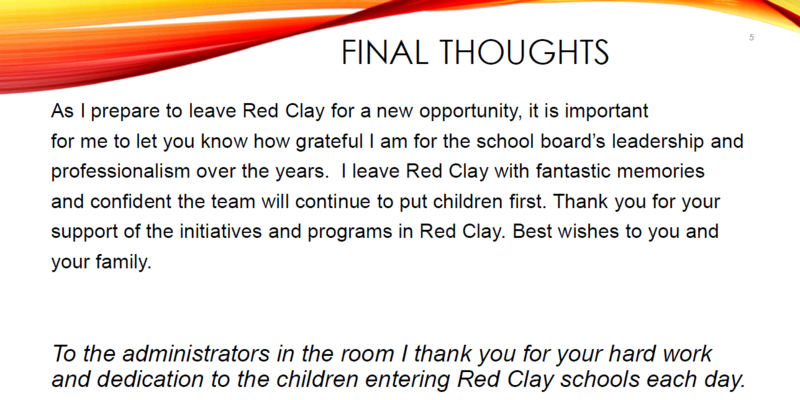 Another item on the Red Clay agenda was a presentation by Ted Ammann on school capacity. 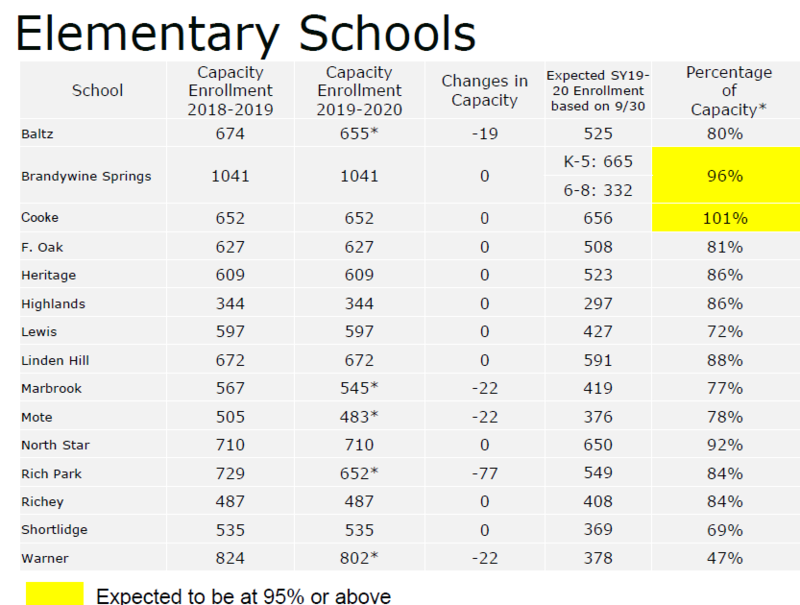 Looks like Warner Elementary School has the lowest percentage of capacity by a very wide margin. The subject of student counts was a big thing at October board meetings. 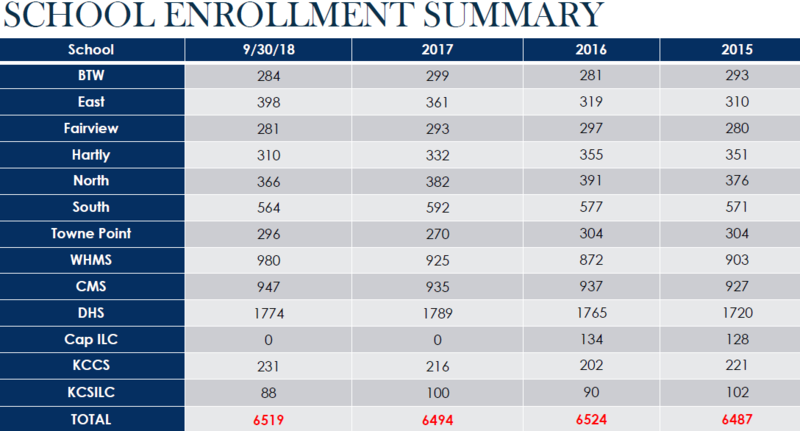 While the “official” Delaware DOE report won’t come out until next month, many districts and charters were talking about either a growth or decline in student count. 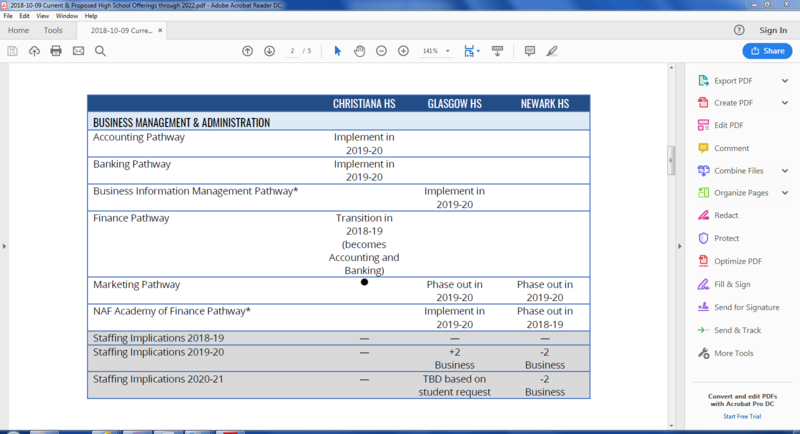 Colonial went up a little bit as well according to their September 26th board minutes! 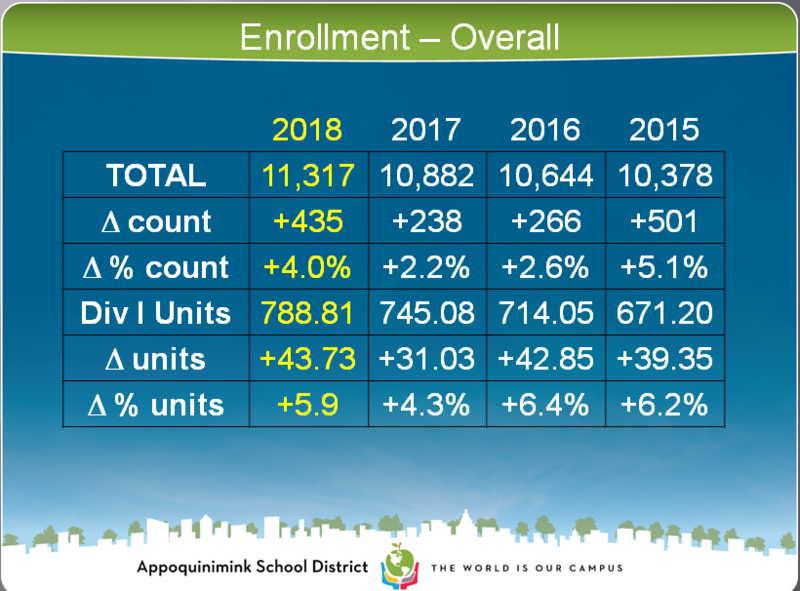 Appoquinimink is continuing their huge growth as the Middletown-Odessa-Townsend area continues to grow. 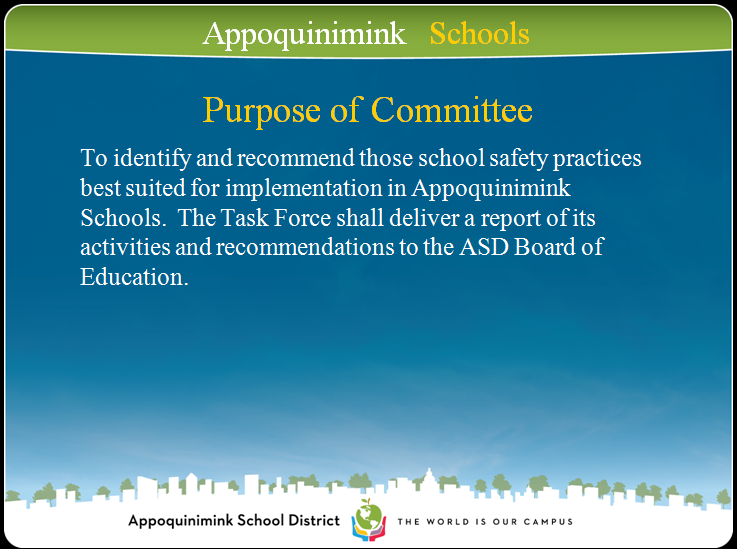 Meanwhile, Appoquinimink formed a Student Safety Committee in the wake of a student having a handgun at one of their schools last Spring. 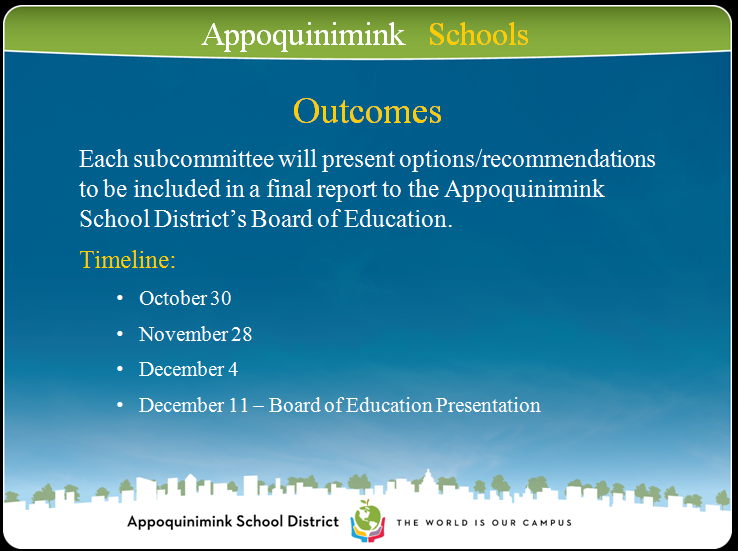 The committee gave an updated to the Appo Board of Education. According to Brenda Wynder, the Superintendent of Lake Forest School District, there was a meeting with the Delaware Senate going over standardized test scores. Each district was given a rating based on how they did on the Smarter Balanced Assessment and the SAT. Because, yes, we need more kinds of labels over this flawed test! I have to imagine every single Delaware charter school board, aside from Odyssey Charter School and Charter School of Wilmington, will be talking about the topic of DSEA and teacher unions in coming board meetings. Earlier this week, Odyssey became the second Delaware charter school this year to join DSEA. 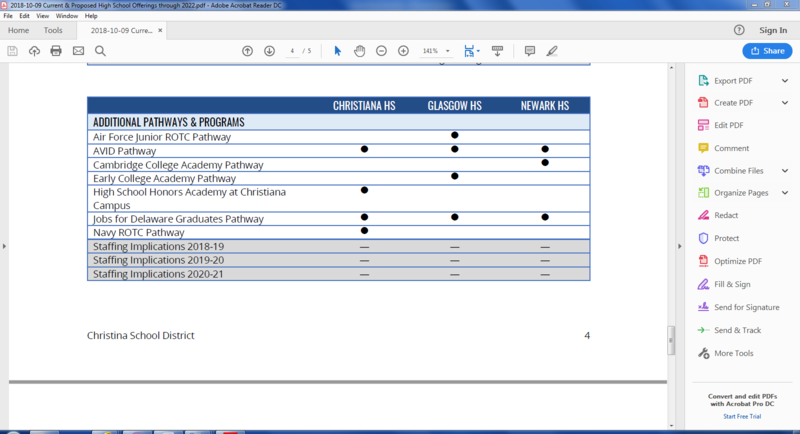 Speaking of charter schools, I had no idea Newark Charter School students were the primary force for House Bill #354. This bill cleaned up Delaware code in regards to the Americans With Disabilities Act. 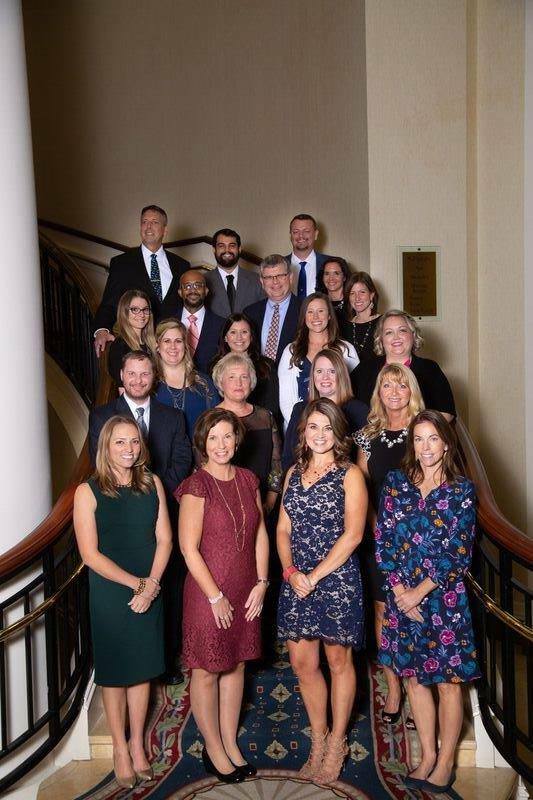 West Seaford Elementary School teacher Dana Bowe was named the Delaware Teacher of the Year last night at Dover Downs. She is a K-2 special education teacher. Congrats Dana! 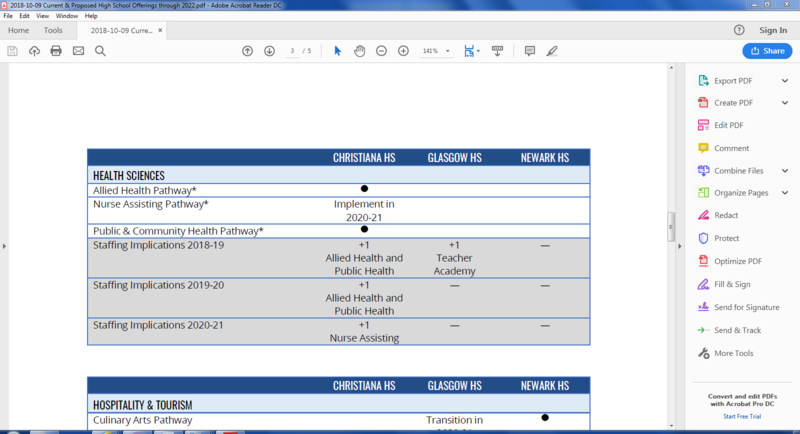 The Delaware DOE did finally update their charter school renewal website yesterday so if you want to see what is going on with the seven charter schools up for renewal this year, go HERE. In addition, the Charter School of Wilmington is going through their renewal process with Red Clay since they are their authorizer. Both Newark Charter School and CSW are hoping for ten-year renewals. While I appreciate the transparency return, Delaware natives are getting restless waiting to hear about ANY accountability for Secretary of Education Dr. Susan Bunting. I revealed a decade old secret about her in August when I wrote about her knowledge of Indian River CFO Patrick Miller stealing money way back then. She was Superintendent of Indian River at the time. Despite multiple requests to Governor Carney’s office to look into this, they have remained mum on the issue. Carney picked Bunting for Secretary of Education. Last year, Bunting agreed to give charter schools more money from the districts’ match tax allocation. Last year they got 50%, this year they get 75% and next year they will get 100% of each students’ allocation from their receiving districts’ local funds. Both the Brandywine and Colonial Boards of Education each have two vacant board seats now. These are usually contested seats. I know Brandywine’s District F vacancy is due to the passing of John Skrobot last July. Last month, the Milford School District Board of Education said no to joining the Delaware School Board Association. I’m all for alignment IF it is in the best interest of students. But school boards need to be independent and not be influenced by what Chiefs and administrators want. This is a slippery slope in my opinion. This is a rubberstamping stew in the making! 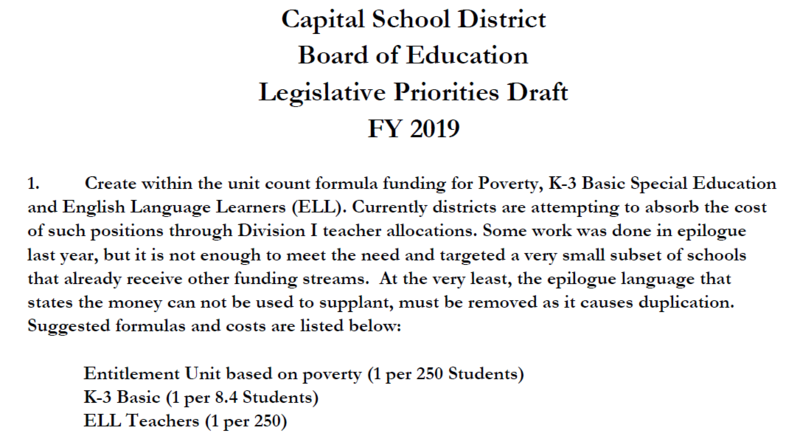 Speaking of legislation, Capital’s Board of Education had some priorities to discuss at their board meeting tonight as well! Other legislative priorities discussed by the below Capital Board of Education included funding for school resource officers and school safety monitors, more school safety funding, pre-school funding, a shift from Burden of Proof in special education due process hearings to shift from the school district to the parent, hiring family crisis therapists in all schools, and more money in hourly rates for substitute teachers. In a bizarre attempt to keep parent complaints from going public, First State Montessori Academy is creating a “private” Facebook page for parents. 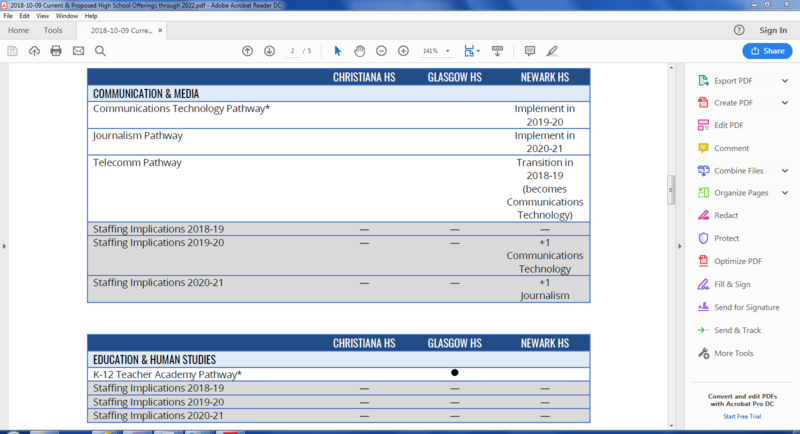 It is connected to the school’s Facebook page. This strange way of the school knowing what parents are saying seems pretty invasive. 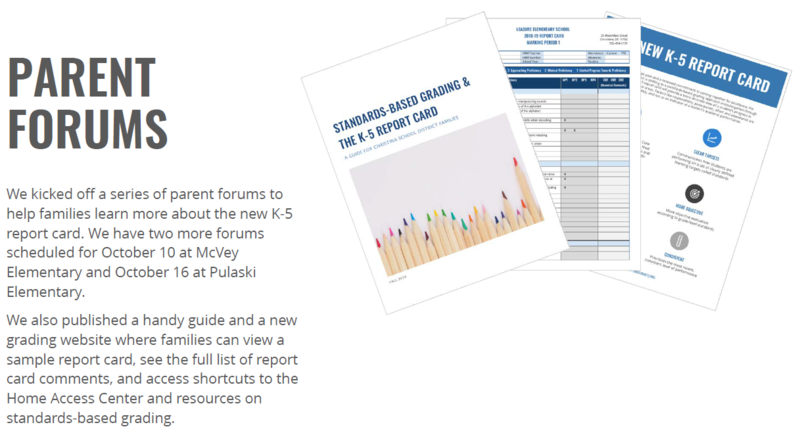 Over at Christina last week, Superintendent Richard Gregg talked about community discussion over standards-based report cards. I love community input! 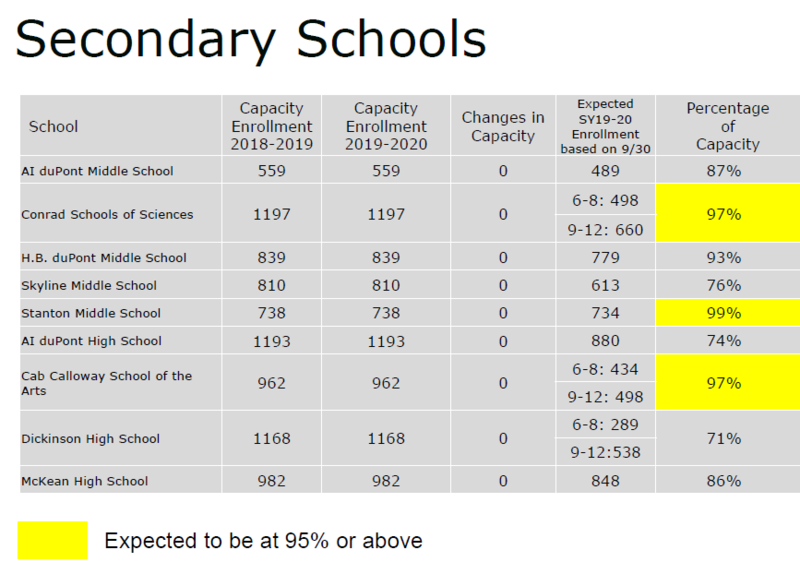 Which baffled me when I found out the district is planning to turn all their high schools into magnet schools. 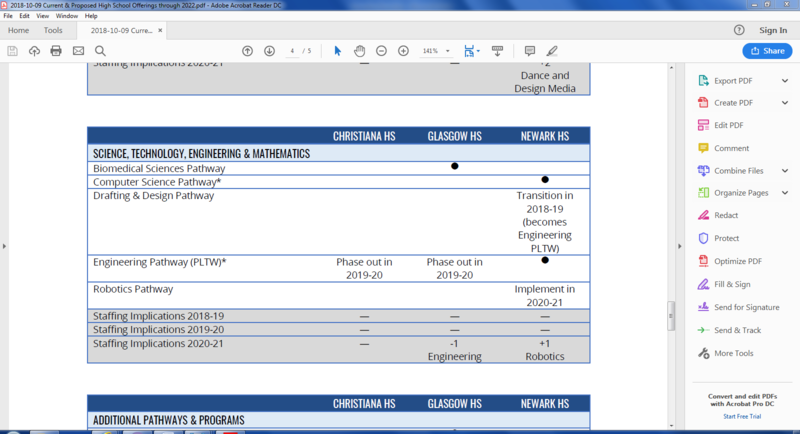 The board approved preliminary plans to shift around all their CTE programs to different schools over the next couple years. But there was no community input on this OR a fiscal note. Those are some mammoth changes up in Christina! But I’m concerned about that fiscal note. What happens when they don’t factor it in and start to implement all these changes. Do they just tell students we can’t offer that program or go out for a referendum to cover it? I was happy to see that the Smyrna School District went from 30 expulsions in one year to a little over 10 the next! Sometimes things do make an impact! I do have one item to talk about but I am NOT naming the school. But it turns out this Delaware charter school is having some MAJOR issues in one of their expense categories. So much so it will wind up eating a major chunk of their budget. Sounds like their board needs to put their bottle of hubris back in the fridge! And that is all for today folks! This entry was posted in Education Roundup and tagged Appoquinimink School District, Blind Item, Brandywine School District, Capital School District, Charter School of Wilmington, Christina School District, CTE Programs, Dana Bowe, DE Academy of Public Safety & Security, Delaware DOE, Delaware Education, Delaware School Boards, Delaware School Boards Association, DSEA, First State Montessori Academy, Lake Forest School District, Merv Daugherty, Milford School District, Newark Charter School, Odyssey Charter School, Red Clay Consolidated, Seaford School District, Smyrna School District, Student Counts, Teacher of the Year by Kevin Ohlandt. Bookmark the permalink. 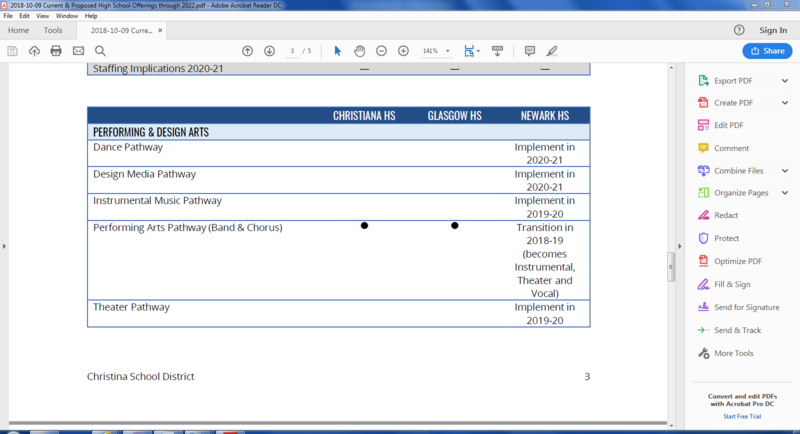 Christina’s plans for its 3 high schools isn’t exactly a secret. It’s been in the open since before Dr. A was interim superintendent and it’s generated significant engagement over the last few years. 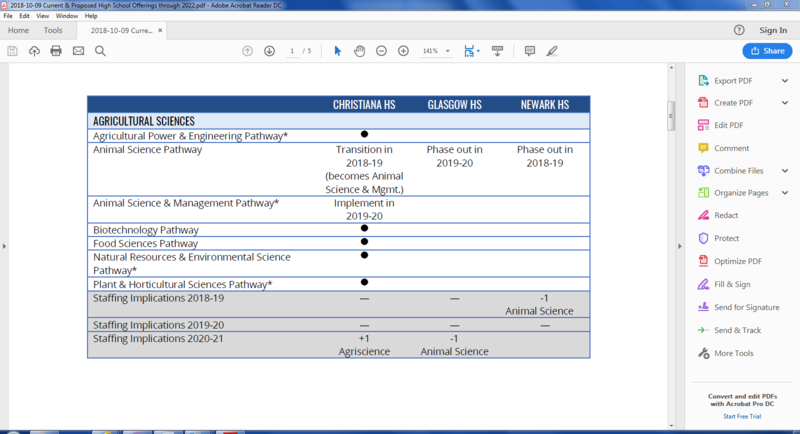 Fiscal implications aside (we know it’s going to cost $), I think they have to do a bit more assessment and development of their plans first in order to assign costs. “How much will this cost?” “1 billion dollars!” “Ok, why?” “We’ll get back to you on that”. Definitely wouldn’t be a good look. That is a very good point. I don’t necessarily disagree with the plans. They need to do something to retain students and bring other students back. This is a good step. Going down the choice/competition rabbit hole that is destroying DE education is “a good thing”. Can you elaborate? Sure. I don’t think choice and competition is a good thing. I don’t think these schools should be made “magnet” schools. I don’t see an issue with providing different programs, more of the CTE variety. As long as they aren’t set up in such a way to discriminate against ANYONE. If it becomes a case of the haves vs. the have nots, I oppose it. 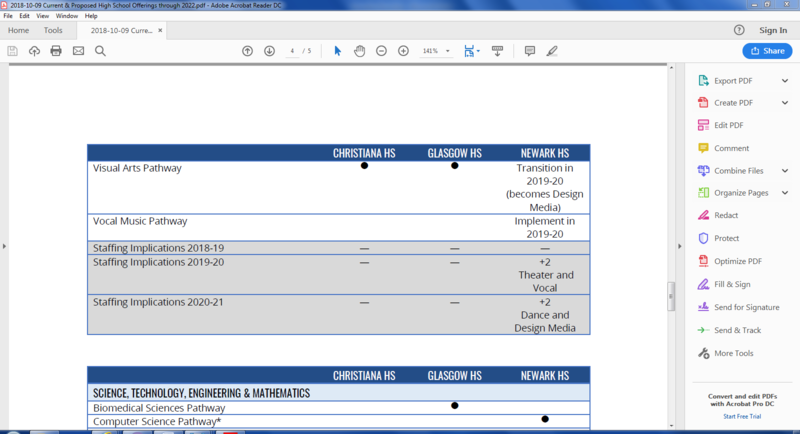 I think having certain career paths available are good but I don’t think those types of programs should be available before high school. Let kids be kids. Can you quantify or qualify “significant engagement” as you declare here? FYI: Colonial considered helping DAPSS did not mean Colonial was going to take on those students. DAPSS would have kept their building open. Also, I’m sure Colonial didn’t have all 75 students come from DAPSS, that was the students listed in our District. DOE opened Choice for students to attend any school they wanted. Honestly if DOE was aware of DAPSS problem why did they allow them to even open this year?!? Because DOE will rarely act unless they have to. rarely = never and never = incorrectly.